OMG! A totally new, random and #hashtag-worthy trend has hit the internet! 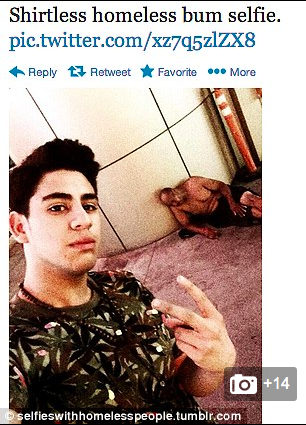 If you're sick of the #selfie, #belfie and #selfobsessedsie, why not try a #homelessselfie?!! That's right, you can join the new cutting edge trend to hit the web by taking a photo of yourself with ... wait for it ... a VULNERABLE PERSON! Lmao. The internet gives ignorant people, who would never normally be given the time of day, a perfect platform to share their inane thoughts with the whole world. So, never fear - you might not have brains but you do have an iPhone and that means you can take photos of you with people who haven't consented and post them all over the internet. 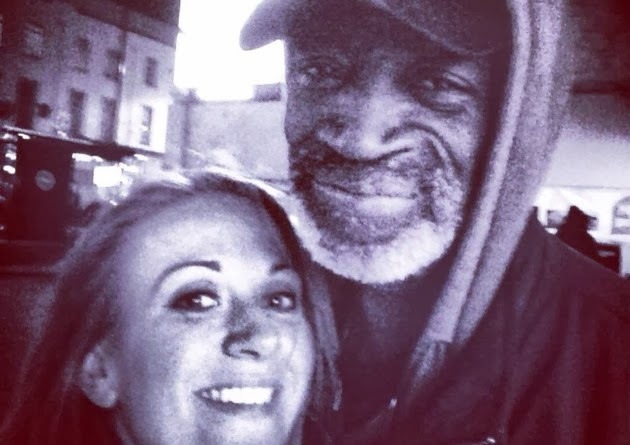 Photo of you and a homeless guy? Why the hell not?! On a better note, someone took a photograph of themselves with a man who was sleeping rough and then Crowdfunded lots of money for him. It's a shame this can't happen for everyone in a difficult situation, but atleast it happened for Michael. Read about it here and give to the campaign here.